He proposed! You accepted! The venue’s been chosen and you finally found the perfect wedding dress, BUT you haven’t had time to decide what to wear to your Bridal Shower or Rehearsal Dinner…you’re starting to get a little worried, right? You want to look fab for your BIG DAY, but not quite sure where to turn? Look no further, Wedding STYLE by Kalyn Johnson to the rescue. Planning your outfits for each event and occasion leading up to your BIG DAY will be a cinch with Kalyn by your side. You’ll look fabulous, your stress will be minimized, and they’ll wonder how you did it. Whether you need assistance planning your wedding wardrobe for your Bridal Shower, Rehearsal dinner, a week-long wedding celebration in some exotic locale or your honeymoon, Kalyn will help you lookyour best. Kalyn uses her vast resources, inspiration and creativity to develop truly amazing “Looks,” not only for the Bride, but for the Groom and the entire wedding party if requested. 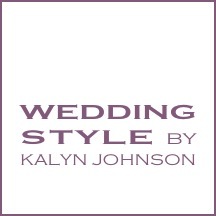 Contact Wedding Style by Kalyn Johnson for a Wedding Wardrobe Consultation today. 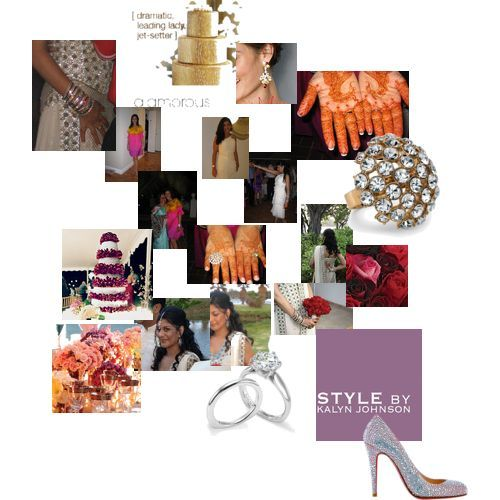 Recently, Kalyn styled a Bride whose look was “Eva Mendes goes to Bollywood” for a week-long celebration in Jamaica. THANK YOU! You definitely came to the rescue and made getting ready for every event, every evening, every afternoon for our week long wedding celebration in Jamaica seemless. The Gild the Lily book you created for me with the complete outfits (including jewelry, handbags & shoes) for each day from the date of departure to the date of return was extremely helpful. I used it to pack my bag (and avoid taking excessive things that I would not wear) and to get dressed each day (from breakfast, to hanging out at the beach, to dinners/social events). Everyone commented on how well co-ordinated me and the gorgeous groom were and how each day we looked fabulous. Who doesn’t want to hear that! You definitely hit the mark with the “Eva Mendez goes to Bollywood” look that I had asked you to create. Best of all – you used pieces from my wardrobe and matched it with other pieces, jewelry and shoes that I would have never put together, but that looked fabulicious. 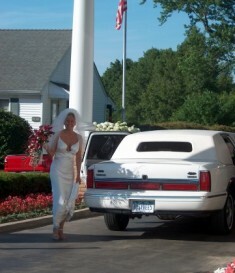 I would recommend your wedding style services to any bride, without hesitation. And…are you ready to style me for my 2 week long honeymoon? You have an amazing talent, style and creativity. You captured my style and character and blended it with the occasion and location to create one fabulous and glamourous wardrobe, apt for our magical destination wedding. LOOKING FOR A GREAT WEDDING SHOE?